As 2015 began, video accounted for 64 percent of all Internet traffic, and by 2019, Cisco projects this will increase to 80 percent. Advertisers are shifting their budgets accordingly, with half of all advertisers who are increasing their video marketing spend reallocating funds from traditional TV ad budgets, according to AOL Platforms’ 2015 US State of the Video Industry Report. Mobile video marketing consumes an expanding portion of advertising budgets, with expenditures increasing 18 percent since 2014. As this shift to video marketing progresses, the rise of 4K video is becoming an important factor. By 2020, half of American TVs will be 4K, Strategy Analytics forecasts. 4K smartphones are also looming, heralded by Sony releasing its Xperia Z5 Premium this fall. As more consumers view videos in 4K, video marketers must adjust to the emerging reality of 4K Ultra HD. Some commentators greeted the release of Sony’s Xperia Z5 Premium by questioning whether viewers can even detect 4K resolution on a smartphone. This skepticism stems from comments Steve Jobs made when Apple released 326 pixels per inch Retina Display with the iPhone 4 back in 2010. At the time, Jobs claimed that 300 PPI represented a barrier to the eye’s ability to detect further resolution refinements. In light of Jobs’ contention, skeptics wonder, why are companies such as Sony pushing ahead with 4K smartphones? Because Sony and its competitors know better than their critics. Sharp has conducted empirical lab research demonstrating that viewers with eyesight above 20/20 can identify the difference between 508 PPI images and 1,016 PPI images. Sharp researcher Lee Spencer has pointed out that in addition to detecting resolution itself, the human eye can detect qualities such as contrast which stand out more in 4K than lower resolutions. In light of this research, Sharp has already released an 8K TV, and companies in Japan, Korea, and China are getting ready to supply anticipated 8K panel demand that will follow in the wake of 8K broadcasting experiments at the 2018 PyeongChang Winter Olympics and the 2020 Tokyo Summer Olympics. Meanwhile, more 4K smartphones are due for release in 2016. Video marketers who aren’t producing Ultra HD will soon be as obsolete as black-and-white TVs. One anxiety some marketers have about upgrading to 4K production is concerns about costs. Fortunately, doing 4K video production isn’t significantly more expensive than producing other videos. 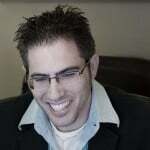 First of all, if you’re outsourcing to a video production agency, your agency will already have the latest 4K-ready equipment, so you won’t face any additional cost. If you’re doing your own production, your smartphone may already have 4K capability. If not, 4K consumer camcorders can be purchased for as low as $500, and you can get a professional 4K camera for as little as $1,200. You may also need to invest in a computer upgrade to handle 4K files. Altogether, a full 4K equipment upgrade should run no more than $2,500. Editing 4K videos presents some challenges due to the larger file size required to support high resolution footage. 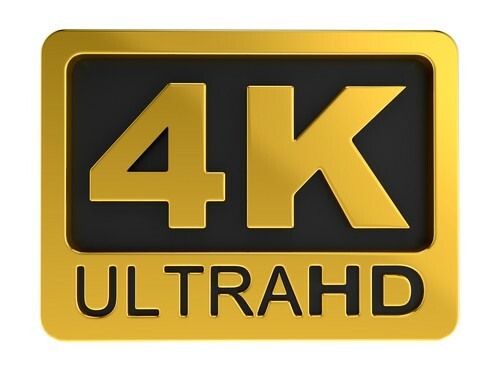 4K video producers should get used to working with a wider range of codecs to accommodate the fact that Ultra HD requires higher bitrates and higher-rated media than regular HD. To facilitate the handling of the larger files involved, you should use either an external RAID tower you can connect to your video editing system or an internal RAID card. You will also need nonlinear video editing software that can handle 4K. Fortunately, popular programs such as Adobe Premiere and Apple Final Cut Pro X are already up to this task. When using these programs, the most efficient way to edit 4K is to work offline using proxy files, which are temporary lower-resolution file copies that can be processed more quickly. When publishing your content, you will find it easier to upload large files if you compress them first. 4kcentral’s site provides a tutorial on how to compress 4K Ultra HD into 1080p for uploading. Be aware that YouTube only supports UHD video in 3840×2160 format, so make sure you are using the correct settings before uploading.